A popular 2-berth motorhome, the Swift Select 144 is a slim panel van conversion. The rear lounge creates a double bed (1.8m x 1.35m). 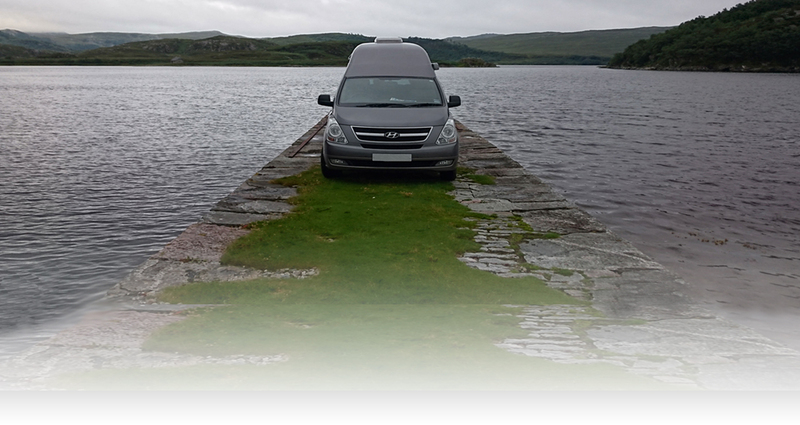 The front swivel seats turn and create a front dining area with the additional travel seats, this is an excellent vehicle for couples or friends exploring the Highlands and Islands. Opposite a small bathroom contains a Thetford Toilet with small wash-basin and shower cubicle. 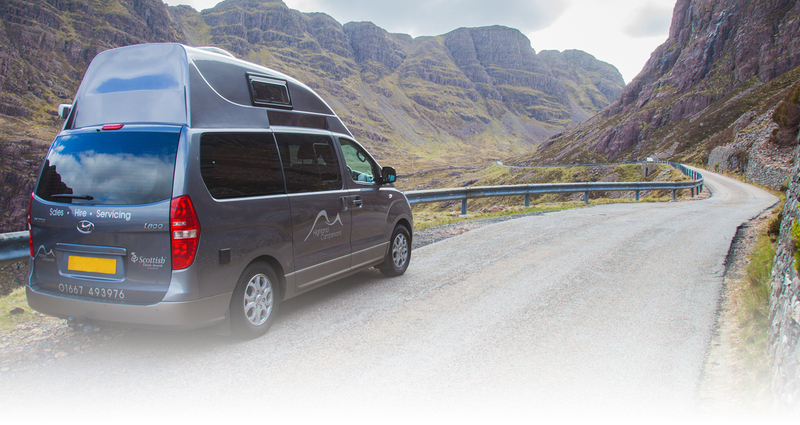 A Truma Combi boiler provides hot water and heating throughout the motorhome, running on Gas or 240v electrics. When driving the Leisure battery is topped up from the vehicle battery.